SR Go Green! Week Highlights include a Bottle Cap Collection and more! Students are asked to wear green to school to show their green spirit. The SCA Fair is Saturday, May 4! Buy Unlimited Ride Bracelets Now! Ride all day: $40 for one, $70 for two! Choose one of our two convenient purchase options. Online orders must be purchased by May 3 at 9 pm! Grand Raffle tickets will also be available for sale at Raindew. Adult and Student Volunteers Needed! Volunteer your time to the fair! The SCA Fair depends on dozens of volunteers to make this day a success! Sign up with a friend for a two-hour slot at the booth of your choice! Opportunities for both Adult Volunteers and Student Volunteers. Community service hours will be credited for students. Purchase a variety of beautiful hanging baskets, perennials and annuals! If you have any questions regarding the SCA Fair, please contact Annie and Claudine. The above will each serve a two-year term. Please join us for the Annual SCA General Membership Meeting where we will vote in these candidates. Unable to attend? SCA members can cast their vote by submitting the proxy by Friday, May 3. SR Teacher & Staff Appreciation Luncheon - Volunteer and Donate! This is such an enjoyable experience for the kids, made more so by the participation of you, the parents. We are in need of volunteers to help decorate the halls and library, help with games, as well as to read to a class, dress in costume, and help as a "general assistant/extra set of hands" during a class time slot. Please join us for this memorable event by signing up HERE to volunteer. Yearbooks are now available for purchase. CLICK HERE for further instructions. The SCA provides many rewarding programs, resources and activities for our children throughout the year. Membership is available for families and for faculty and staff. Please consider becoming a member. Submit your 2018/2019 membership registration and dues now! Join our Email List Now for SCA and school weekly highlights. Come cheer our HS Baseball & Softball Seniors! Numerous family fun activities and food throughout the day. This annual event would not be successful without the tireless volunteers. To volunteer, CLICK HERE. Your participation and generosity ensure the success of the event and enhance our baseball and softball programs. To make a donation, please email the TPC Committee. Let's play ball! Join SCA Planet Manhasset to learn about how to minimize your family's contact with harmful household chemicals while still keeping them clean. Luncheon will provided by Organic Crush with a legislative update on environmental issues in our community, along with a selection of goodies for purchase from a few of Manhasset's own Wellness vendors. RSVP by April 30 to Zari Ginsburg / $40 per person. Luncheon is open to all in the community! On March 15, Dr. Butera covered the following important topics: Overview of K-12 efforts, Upcoming Capital Reserve Proposition, 2019-2020 Proposed Budget and New Visitor Policy. Educational Grants Committee accepting Financial Aid Applications now! 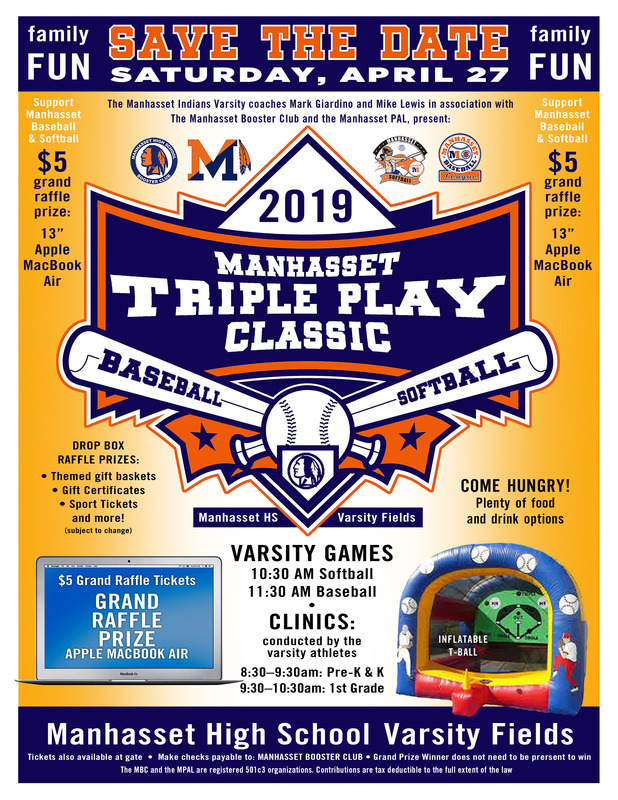 The SCA Educational Grants Committee and the Manhasset Student Aid Association (MSAA) provide funds for the post-secondary education of MHS graduates. The application is reviewed individually by each group and the award is not affected if you apply to both. Shop smile.amazon.com on your computer or mobile device. Same prices, selection, and convenience as Amazon.com, and Amazon will donate 0.5% of the purchase price back to the SCA. The Manhasset SCA is a 501(c)(3) charitable organization.